Embed powerful customizable web pop forms to your website and capture emails from visitors automatically to grow your email lists. Improve and grow your email list quality with exit-intent pops, on-site messages, one click social signup buttons, on-scroll pops, and more. 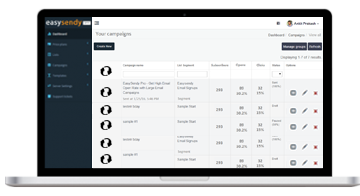 Automatically subscribe them to the email drips and keep them engaged with high converting email campaigns. 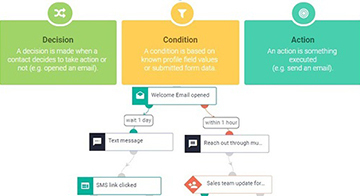 Use our easy drag and drop drip email automation flow builder to build email campaigns in less than a minute. Build engaging automation drips based on different conditions, decisions and actions. Automatically trigger next action based on email clicks and email opens of your subscribers. Create A/B Tests for your email campaigns, set follow-up email autoresponders, and launch event based email campaigns. Manage and micro-segment new and existing email lists according to your subscribers’ and customers’ behaviors. Manage suppression lists and email blacklists automatically with email list cleaning add-on feature. Use behavior-based email list management and auto-sync with Facebook Custom Ad Audience for better targeting. EasySendy Drip works out of the box with your existing website, forms, and lead generation platforms including landing pages, online ads platforms, and lead ad forms. Additionally, we help you to integrate with Amazon SES email delivery server to help deliver emails to the inboxes. How much you pay for growing email list & drip email delivery? I am finding EasySendy easy to use and so far getting good results with Amazon. I am especially pleased with the speed and quality of support you have and it's certainly worth mentioning all the people I have dealt with there are fast, friendly and very helpful. The best support service I have dealt with in my 4 years online. I have used several 3rd party ESPs such as Mail Chimp, Constant Contact, iContact, Vertical Response, Get Response and run email marketing software on my own servers with a hefty tech staff and cost to go with it. This is by far the most cost-efficient way to do email marketing. Thank you so much EasySendy. 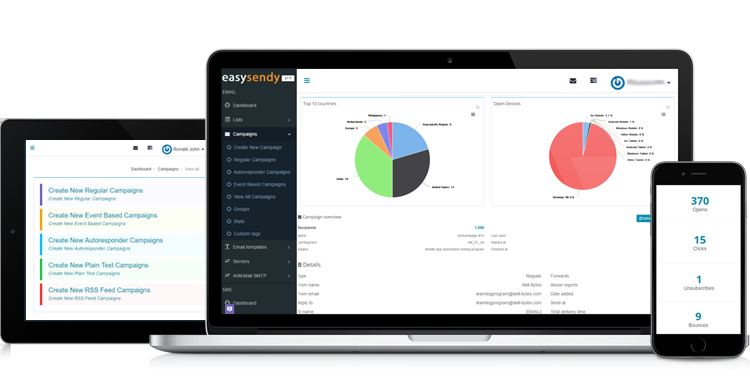 EasySendy is an email marketing platform for online gig creators like, bloggers, podcasters, vloggers, business coaches, YouTubers, writers, course creators, consultants, freelancers, authors, coaches, musicians, photographers, and startups. 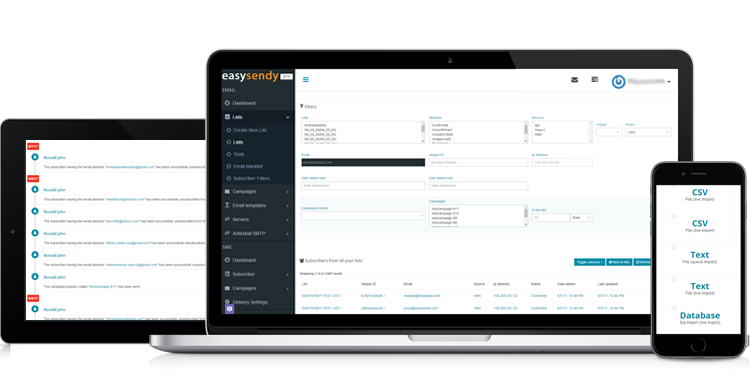 With EasySendy, you can launch various campaigns to engage your subscribers and customers with autoresponders and automated drip email campaigns. You can also manage and engage your Facebook Messenger subscribers. 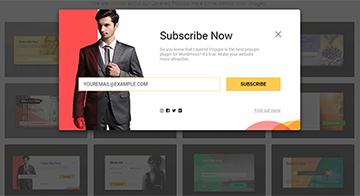 You can add easy-to-embed Web Pop Forms to capture email subscribers from website, build custom subscriber pages, edit email templates with flexible drag and drop editor, do subscriber segmentation filtering, and more. Connect your app / website through API, Google Analytics, WordPress and Zapier.